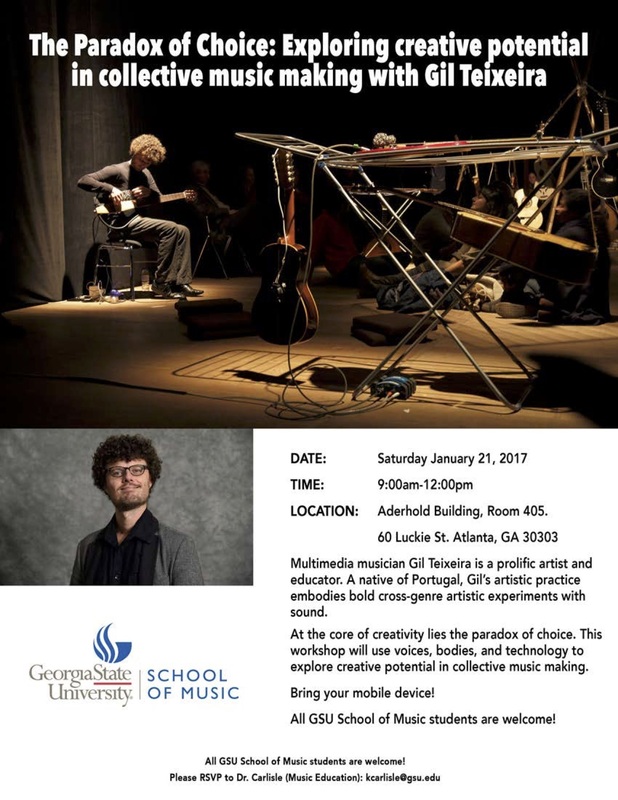 A big thank you to Georgia State University’s School of Music for inviting CEEMI’s creator Gil Teixeira to design and deliver a workshop on collaborative music making. Gil had a great time in Atlanta yesterday morning exploring “The Paradox of Choice” with GSU’s music students. CEEMI was an instant hit among the workshop’s participants!